Quality is of the utmost importance to VICE. 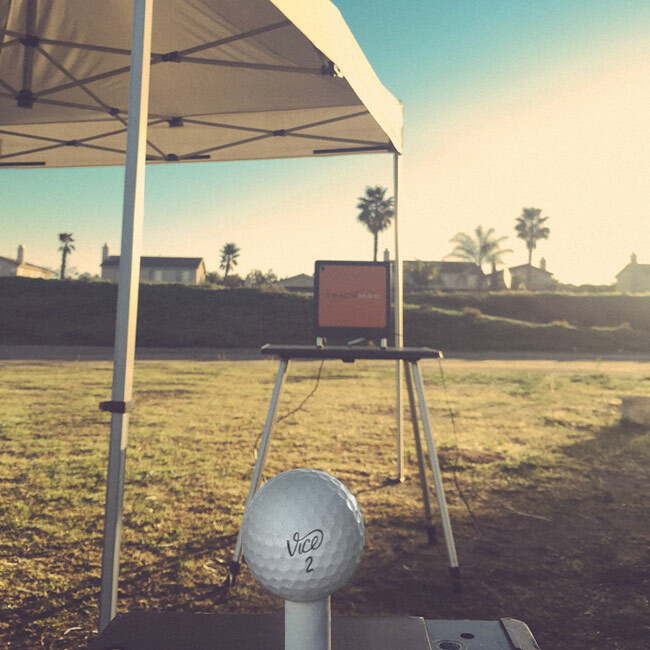 As an additional quality control on our products and to ensure that our customers are using the best golf balls around, VICE conducts regular testing at SAN DIEGO Golf Laboratories Inc., an independent equipment-testing firm, based in San Diego, California. 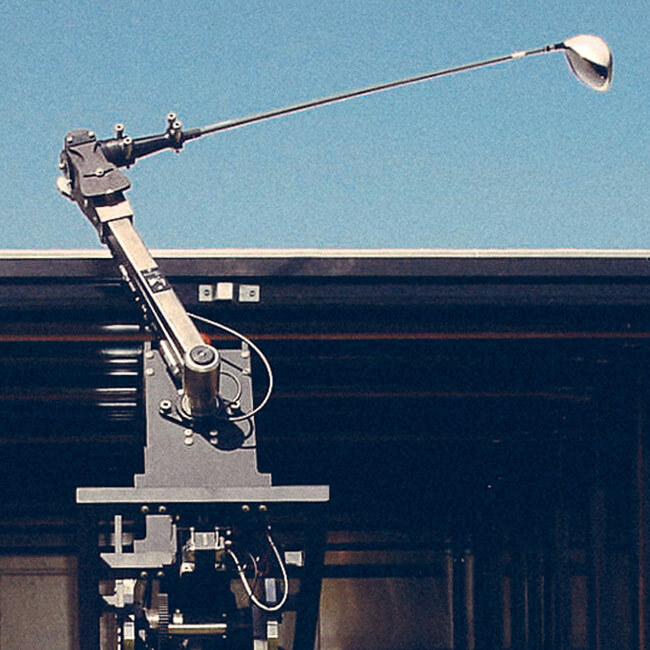 Golf Laboratories’ robots have become the standard for machine testing amongst the biggest names in golf. The high performance Golf Laboratories 4 Pt. Servo Robot is driven by an Open Loop Servo Control System, is extremely versatile allowing for a broad range of testing options. 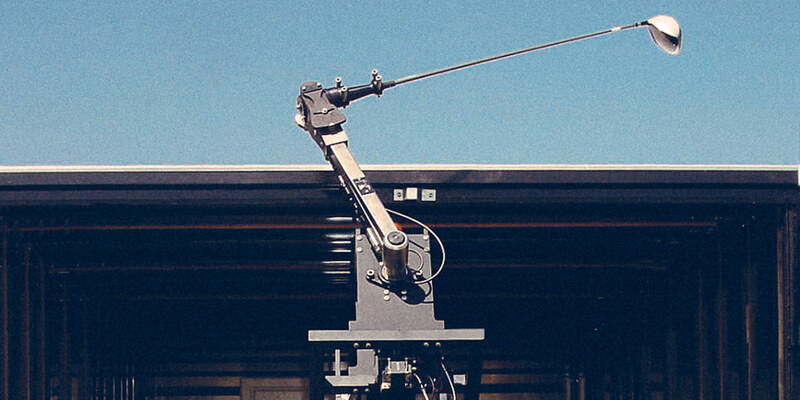 The Robot can swing at speeds as low as 0.1mph for putter testing and with 79Nm of torque, it can achieve driver-club-head speeds of 120mph at just 50% of its maximum power. There are eight main command units that the robot can be programmed for - these range in complexity from backswing speed to wrist position and velocity at impact. This is all of vital importance given the broad spectrum of golfing abilities and the unique characteristics of each individual golfer’s movements. The control center documents all of this information for later analysis. 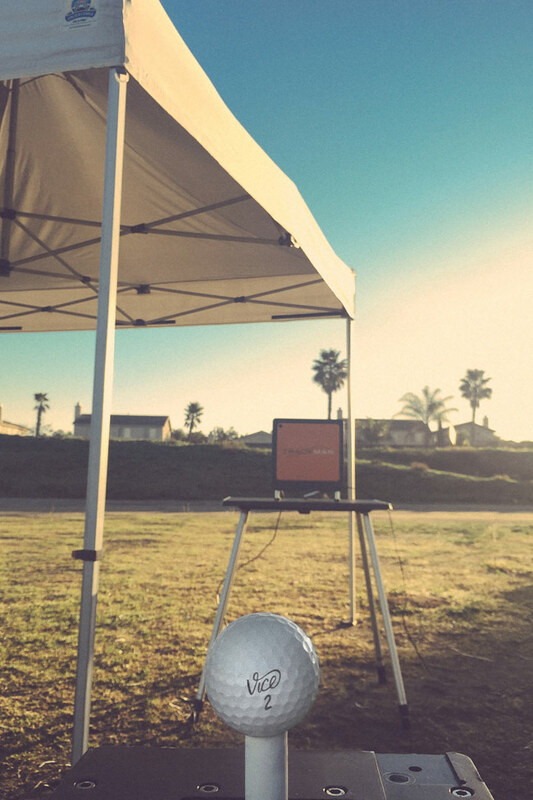 The key benefit of robot testing is the ability to isolate and control for multiple variables in the golf swing. The operator is able to dial in these variables to achieve any profile VICE might like to test. When testing, the robot´s motor runs with 3000rpm, which yields approximately 400,000 counter values which refresh every five milliseconds. Specific launch monitor software is used in tandem with the Robot to capture all information related to swing, impact and ball flight. 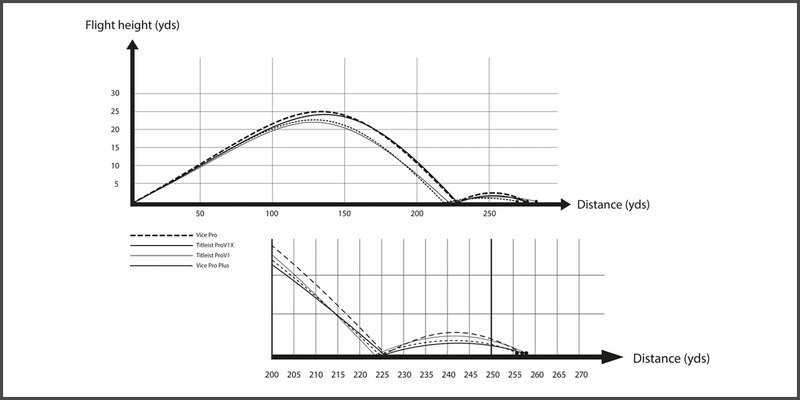 All key parameters, including swing velocity, release angle and acceleration, can be adjusted to our specifications. Golf Laboratories even state weather conditions such as air temperature and humidity, to provide greatest insight possible into the performance of our golf balls. 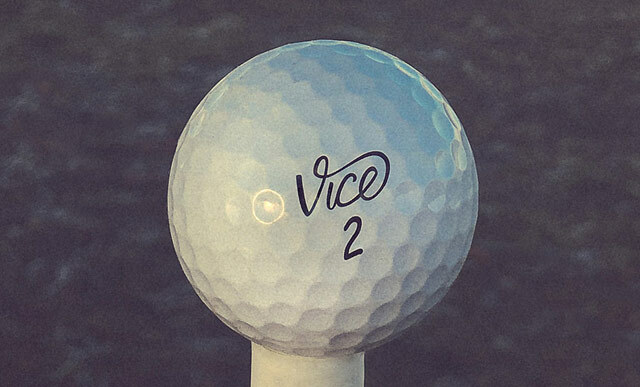 Our VICE balls are tested in two stages at the extremes of a golfer's game. First, they are tested with a driver with particularly interested in launch angle, spin rate, ball speed, and total distance data. 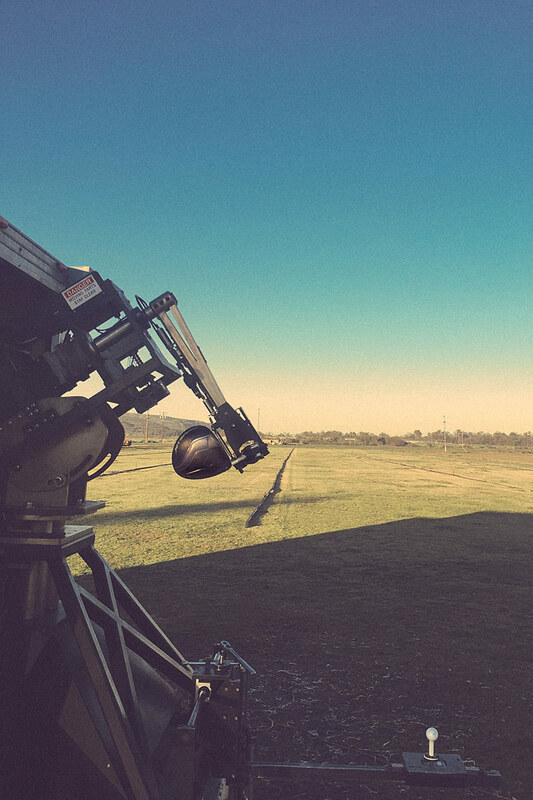 Secondly, they are tested with a 56° wedge to establish performance in terms of height, spin rate and carry distance. Additional data recorded, such as attack angle, swing plane, club-head speed and side spin of the golf ball, don't necessarily reveal how our balls perform but do give us insight into the conditions with which they were tested. Golf Laboratories used a TaylorMade RBZ 10.5°, Matrix Ozik Xcon, regular-flex driver, swung at a typical amateur club-head speed of 94mph, to test our products. With all parameters set, our VICE PRO model achieved ball speeds of 134 mph and spin rates of 3065rpm for a total carry distance of 227 yards. 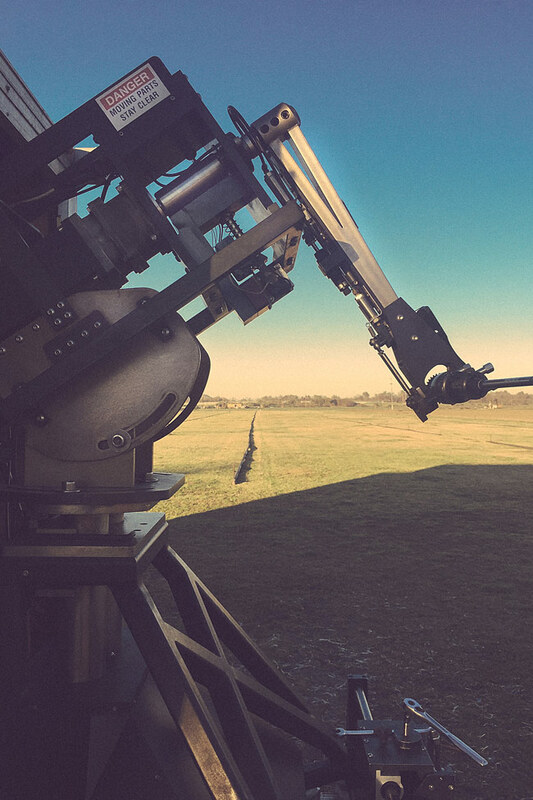 The total distance measured 253 yards on average implying a roll distance of slightly above 10%, on the day. 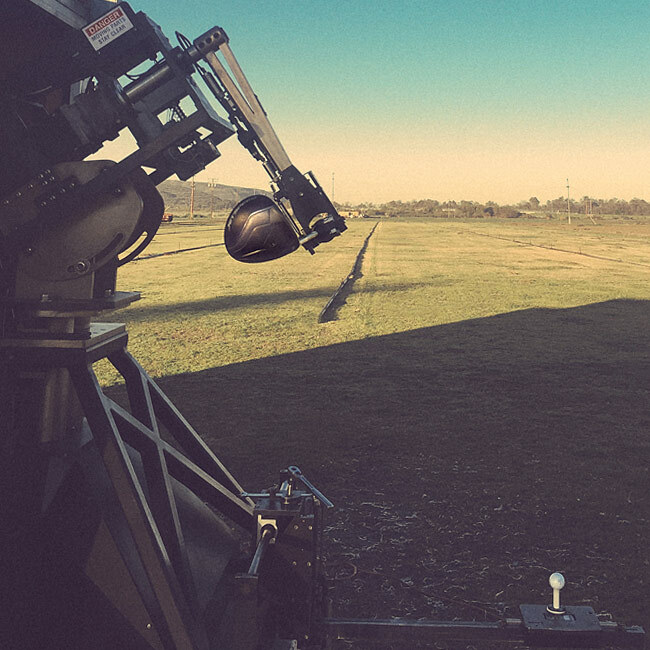 The wedge test was conducted using a 56° Cleveland CG-15 swung at 50mph. A test with these parameters is often known as the ‘half wedge test’, as the club head speed is typical for a standard pitch shot. For many golfers this test provides an important insight into short-game performance. The VICE Pro averaged spin rates of just over 7300rpm and with peak height of 10.3 yards, total carry averaged around 59 yards. Relative to other manufacturers' products that were tested alongside on the day, the results show that we are indeed providing our customers with a truly premium golf ball. For fully comprehensive results provided by Golf Laboratories and interpretations by VICE, please, click here (4.5Mb).